More Than Words in Waltham. More Than Words began in 2004 as an online bookselling training program for youth in the foster care system to develop critical job and life skills. The following year, a retail store opened on Moody Street in Waltham, employing 16- to 24-year-olds who are in foster care, court-involved, homeless, or out of school. Now the retail store is being consolidated into a warehouse that has operated as part of the nonprofit social enterprise at 56 Felton St. for three-and-a-half years. Founder and chief executive Jodi Rosenbaum, who lives in Waltham, said the move will enable More Than Words to empower larger numbers of youths; sell more gently used books, CDs, and DVDs; and engage with the community through direct sales daily and larger Saturday Sales at the Felton Street location, as well as through pop-up bookstores throughout Greater Boston. Q. What is the idea behind More Than Words? A. We empower youth to change their lives through paid employment, and then support their educational and life goals with intensive case management for two years after they graduate from the core program. When you give young people a job with accountability and high expectations, they can do the hard work of moving their lives forward. We know this because we are fanatical about tracking and measuring success. Q. What job duties do the youths perform? A. They’re out on the trucks picking up book donations, as well as sorting, scanning, and receiving. They learn leadership skills by facilitating peer trainings and meetings, and they develop customer service skills by answering phone calls, e-mails, and interacting with shoppers. All of these critical skills are transferable in the workplace. Q. What does the organization’s growth mean to you? A. It is pure joy to see how much it has grown and thrived, and how our young people work so hard to use this as a vehicle to be successful. Society is used to thinking we need to fix, treat, and rehabilitate young people. But what we have found to be true is if you create an environment of high expectations and trust, you need to step out of their way because they can do some incredible things. Q. How can the public help? A. 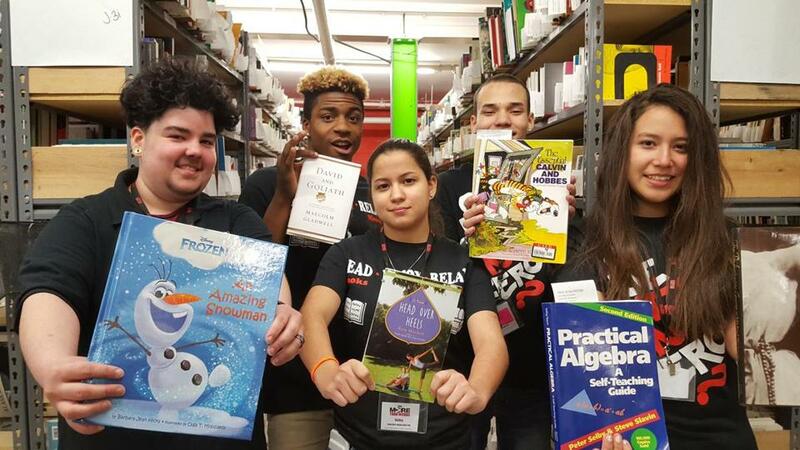 We want people to donate books, buy books, volunteer alongside our youth, invest, and come see this powerful and different way of thinking about social services. For more information, visit mtwyouth.org. To shop online, go to shop.ebay.com/merchant/mtwyouth. Cindy Cantrell may be reached at cindycantrell20@gmail.com.